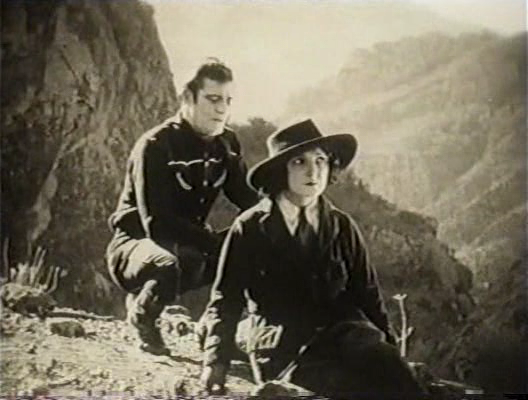 Thanks to a not-quite-chance remark by one-man blogstorm Glenn Kenny on FaceBook, I found myself reflecting on my deplorable lack of direct experience in the matter of Tom Mix. I mainly knew the western star from his image on the cover of Sgt. Pepper’s, and from a possibly untrue story put about by sci-fi novelist Philip Jose Farmer that Mix died when he crashed his car and a metal suitcase containing a million dollars was flung forward from the back seat of his roadster, breaking his neck. (The director of today’s epic, Lynn Reynolds, also died young, shooting himself at a party after quarreling with his wife. PISTOLS DON’T ARGUE. Clearly, it was time to lose my Mix virginity, and the film to do it with was RIDERS OF THE PURPLE SAGE. Based on a Zane Grey novel, and surprisingly hard-edged, this is a tale of long-deferred vengeance comparable to THE SEARCHERS and RANCHO NOTORIOUS in its toughness and single-minded patience. All the stereotypes you could wish are present and correct, but their 1920s versions are so old as to be new, they all come with little variations that amuse and crinkle the eyes. Domestic life is introduced as a rapid-fire whirl of headache and fuss, about as far from the docile domesticity celebrated in John Ford as you can get. 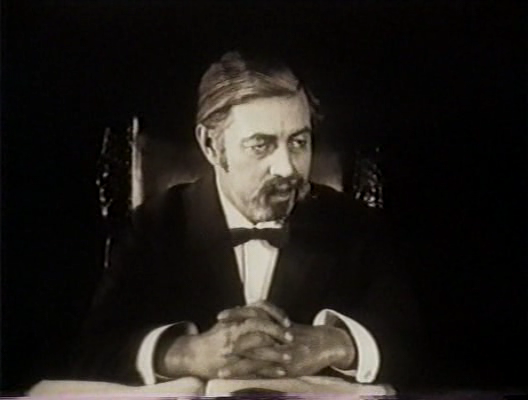 Villains are oily, educated, and sort of soft, as typified by Warner Oland, the inscrutable Swede daringly cast in a non-Chinese role. A baggy, shifty, pouch of a face, barely sufficient to contain the guts of his head. Heroes are tough, beautiful, direct, simple. 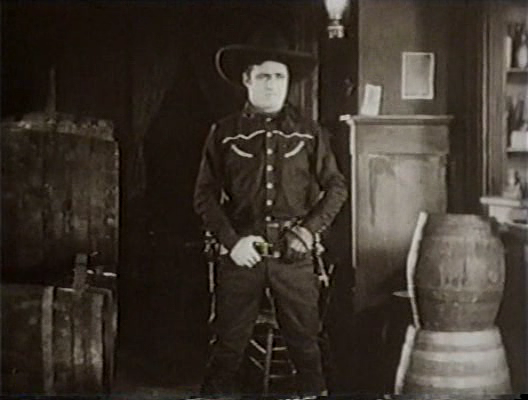 Tom Mix, as hard and sharp as a man chiseled from diamond. While everybody else rides dusty and threadbare, Mix is pretty rock ‘n’ roll in his shiny black duds and hair-oil. Face like an overweight knife. Lose the single glove though, it makes you look psycho. 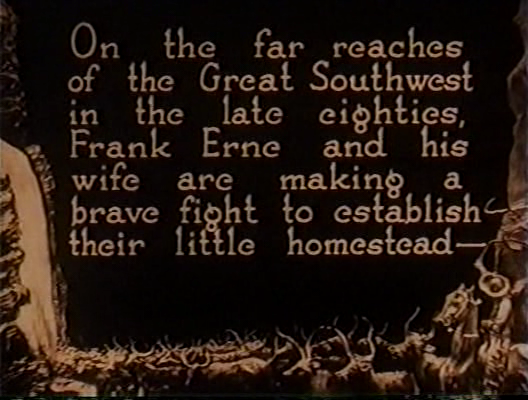 With a big budget, Lynn Reynolds could employ fifty head of cattle for each intertitle. Underplaying in the best western tradition, Mix manages to seem pretty cool despite the borderline ridiculous costume and proto-clichéd attitude. He’s definitely got something! The movie rattles along, surprisingly fast-cut and complicated: I haven’t seen a cowboy flick this overstuffed with characters and incidents since SILVERADO. In one dazzling sequence, he survives unscathed when shot off his horse (how? ), but can’t raise his head above sagebrush level as he’s surrounded by desperadoes. Lassooing his saddle, he swiftly improvises a sled made from branches, and has his horse tow him from the scene, raising a dust trail that chokes and befuddles his pursuers. I am frankly astounded I haven’t seen that trick in another movie. 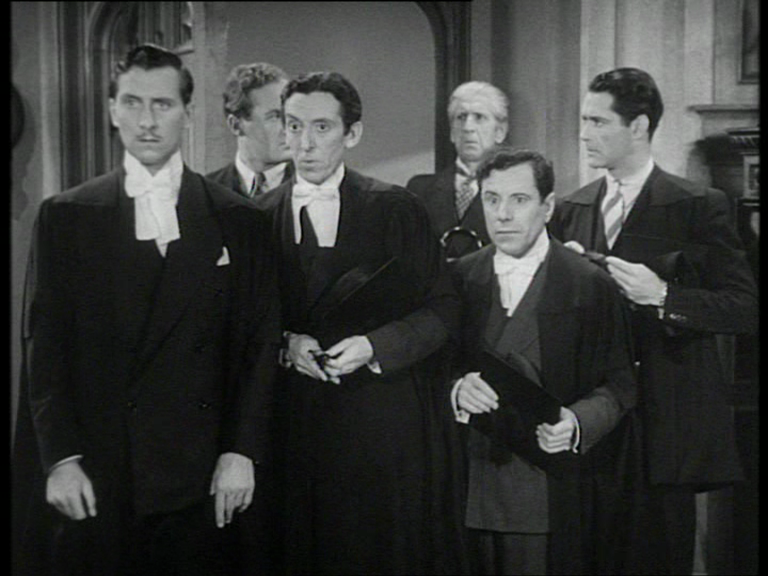 Intriguingly, the distrust of civilisation that animates, say, STAGECOACH, is already present, with the representatives of law being corrupt and vicious (Mix heroically shoots a judge in his courtroom!) and the happy ending located in a lost valley (probably dinosaur-infested) away from the rest of humankind. Rousseau would have liked westerns.